I’m with you. Saw the ice storm was coming and stayed indoors until it was long gone and with it the ice. I didn’t need anything so badly that I was going out in that! 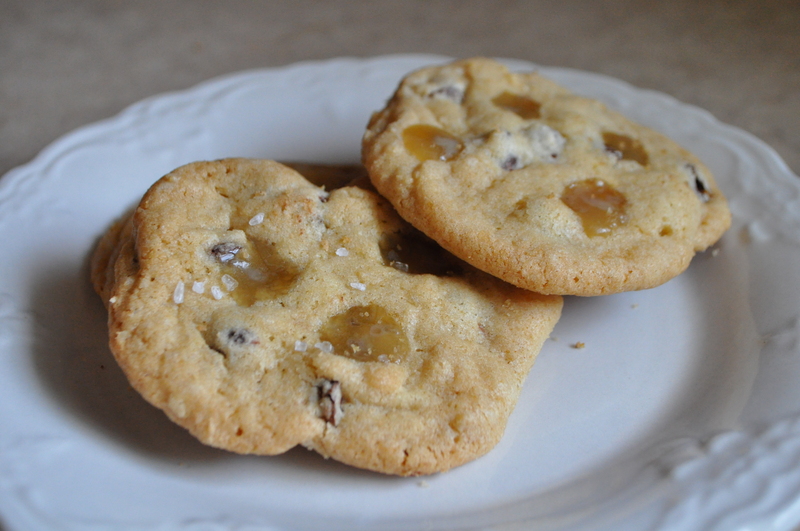 These cookies sound delicious and I love the mix of sweet and salty and use of caramels. I bet they disappear once they’re put out. Who could resist them? They did disappear quickly. Next time I think I will add more chocolate.